The symposium will be held in the conference centre of Viru Hotel. It is located in the very city centre, adjacent to the Tallinn old town. 1) 20 min: Take bus number 2 direction to the center (Kesklinn). Ticket costs 1.60€ and you can buy it from bus driver (better to have smaller money). 2) 10 min: take taxi. The cost of ride from Airport to City Centre is usually ca 8-10 €, depending on the traffic conditions and time. You can also pay by credit card. Before paying the taxi bill be sure to ask a signed recite from the driver. If the driver cannot give you a recite, you are not obligated to pay (as stated by law). 2) Order or take a local taxi. Same rules apply as for taking taxi in airport (see above). When arriving to central bus station. 2) 5-10 min. Take taxi. Same rules apply as for taking taxi in airport (see above). option 1 - Walk following blue line on the map (toward Balti jaam and then little bit more). Lovely, 2 km short, walk through the old town. 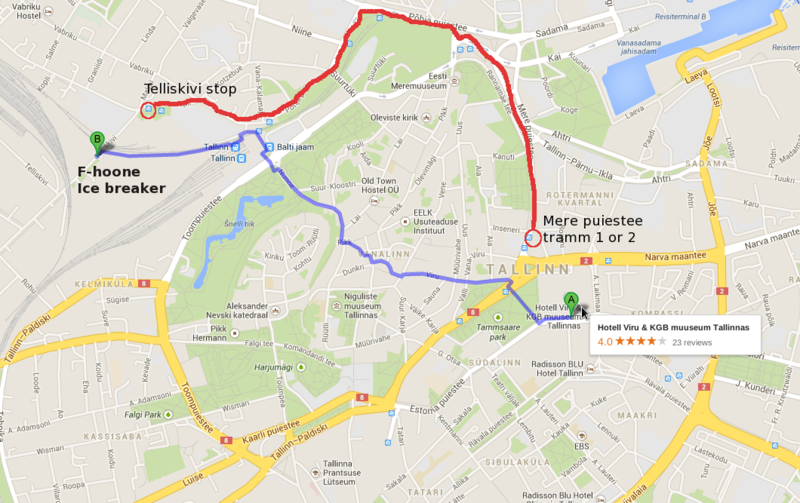 option 2 - Take tram nr 1 or 2 from Mere puiestee to Telliskivi (direction Kopli). Stops marked with red circles. Walk 3-5 minutes to F-hoone. Walk 850 m. Follow Hobujaama street. 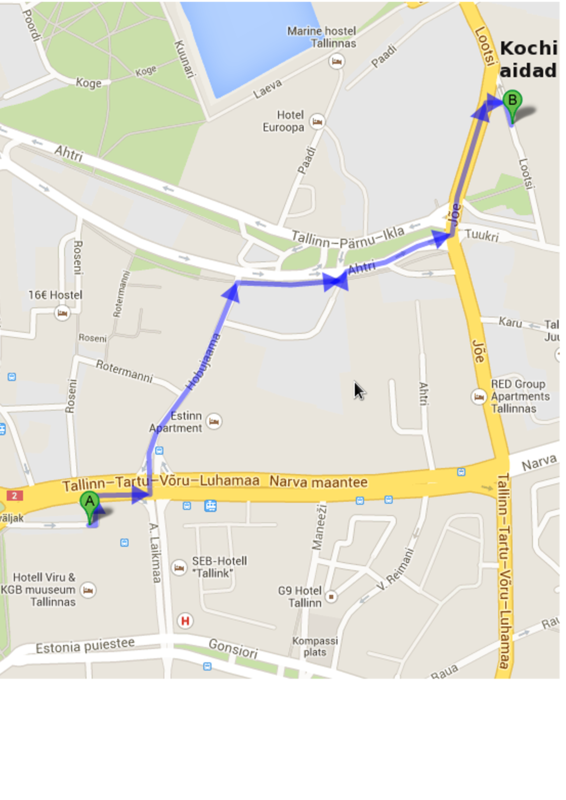 Turn right from Ahtri and follow until Jõe street. Turn left and continue until you reach Lootsi street. 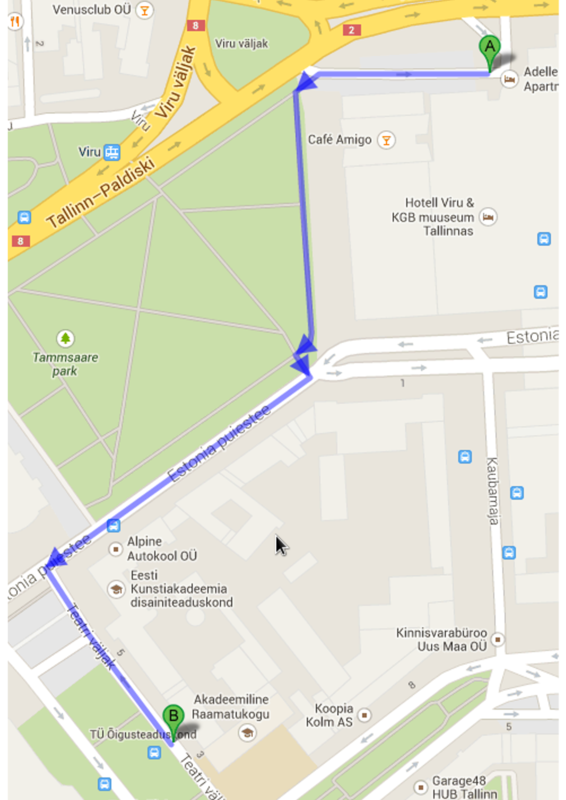 Walk 550 m. Follow Estonia pst. until you have Estonian national opera on your right. 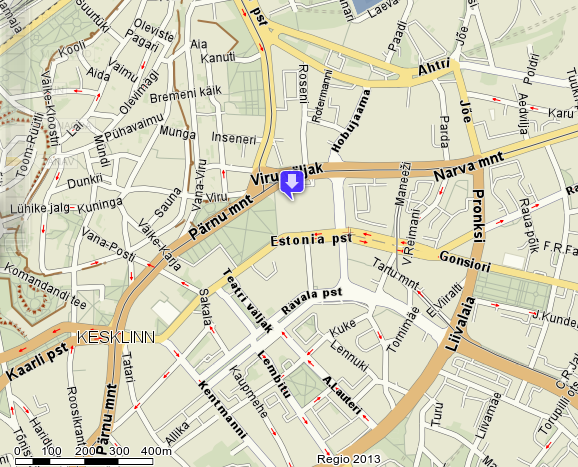 Then cross the street to Teatri väljak (place with lots of bus and tram stops).